THE COLORADO RELAY: 9 runners. 200 miles. 32 hours. 0 sleep. Team photo by Christian Murdock. Other photos by Katie Schwing. Maybe I've finally recovered, maybe I'm lazy - either way, I'm just getting to my race report for the Pikes Peak Ascent. The 13+ miles and 7K feet of elevation gain kicked my tail. I had lofty delusions (I mean goals). ROLL 2011 "Lucky #7" OPENS TONIGHT! The City of Longmont is a great place to race. 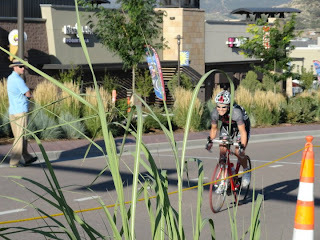 With a well developed trails system, a thriving art community, and an active cycling community, it's the home of the Longmont Twin Peaks Tri. The longest running triathlon in the United States, Twin Peaks hosted its first tri in 1980. 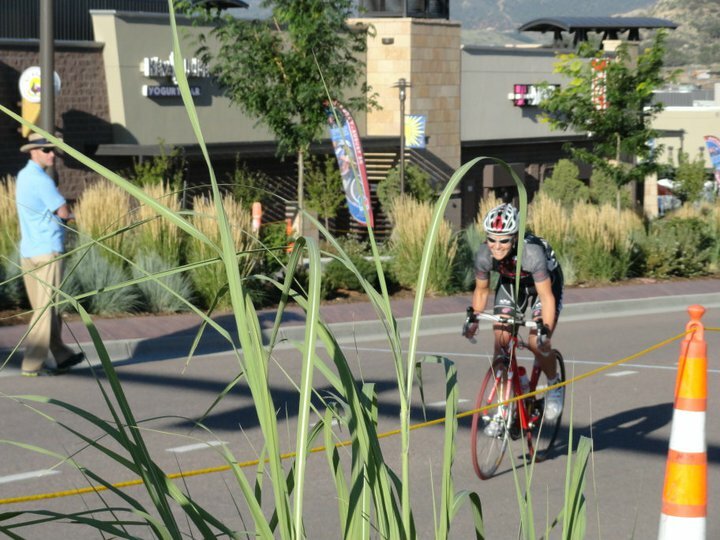 What a great dat for Colorado springs and Cycling! Wondered where you had posted yourself Tim. Tough decision, but I opted for mile 4, shade and a chair. Oh, and a Nikon motor drive. Got some Great Shots of Schleck, Zabriskie, Levi and Evans. Will forward them onto the site once I get them uploaded, and filed. Even panning with motor drive at 400th\sec, they were still challenging to catch! Started out great. Caught in traffic on W's. Passed woman getting ill on side of trail. Stayed with her until her friends caught up. Missed cut off by nine minutes. Decided might try continue as civilian. Rescue volunteer cautioned not to due to storm issues. Turned back at A-frame once again. Everything is laid out. Can't read another word from Matt's book. Its time to do it. The path goes up. I will go up. In my minds eye I have already won. PikesPeakSports.us Triple Crown Runners race team member Jen Shotwell and Triple Crown of Running race director Ron Ilgen at the Paint Mines 6L Trail Run in Calhan. THE MONEY IS IN THE BANK…don’t cash any in until Saturday! Ran up to the top of Pikes Peak last weekend. Took about 4:30. My goal is a sub 4 hour trek. It's looking tough right now. My new friend Howard says, "Think of the Ascent as the world's toughest 5K." What? "5K?" I asked shocked. "Yep, but it takes about 10 miles to get to the starting line (treeline)," he said slyly.